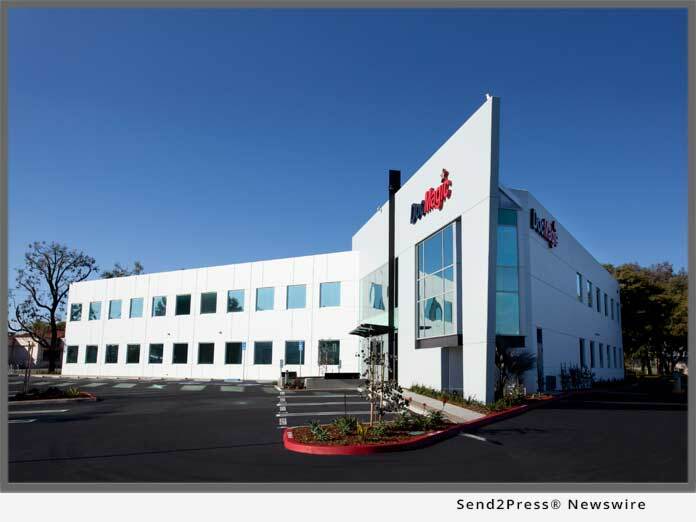 TORRANCE, Calif. /California Newswire/ — DocMagic, Inc., the premier provider of fully-compliant loan document preparation, regulatory compliance and comprehensive eMortgage services, announced that it has opened a 12,000 square foot print fulfillment center minutes from its Torrance, California headquarters. DocMagic added the high tech “supercenter” to support lenders’ growing need for secure, compliant paper documents as the mortgage industry transitions to a 100 percent digital mortgage process. Paper fallout, which is normal and can be expected with any digital process, is usually caused when borrowers do not respond to email requests for eSigning within required timeframes or because they specifically ask their lenders to revert to paper documents. When this happens, lenders’ risk of compliance violations increases. The process of printing, preparing and delivering paper documents is traditionally an intensely manual and time-consuming process, which increases lenders’ risk of missed disclosure deadlines, errors and compromised data. The new fulfillment center uses biometric authentication and video monitoring to provide auditable assurance that only authorized individuals access the building and specific areas within the structure. Inside, advanced technology automates nearly every step of the paper process. Once the documents are ordered, a printer automatically feeds the paper documents directly into an automated system that scans and reads the barcodes to assure that all documents are present. The documents are then inserted into envelopes, sealed and stamped-all without human intervention. The system logs and stores all actions, so lenders can review them and produce detailed information about any document’s activity, at any time. The result of this high-tech process for handling paper is a drastic reduction in the risk of errors, omissions and compromised data.